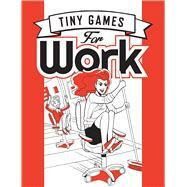 Games for sticky notes and coffee grinds, games for dealing with customers and even games for working from home. Whether you're feeling creative or competitive, silly or energetic, we've got you covered. A game of competitive standing-up in meetings for 2 or more players. Do you have any meetings coming up? Countless esoteric etiquette rules govern when to stand and sit down in meetings, but this game follows one simple rule: you sit, you lose. Before your meeting, agree on who'll be playing. When you go in for the meeting, the last player to sit down wins. At the end of the meeting, why not play Last Man Sitting? You can figure out the rules. Next time, why not stand on one leg only? A game for any number of bold e-mailers unafraid of creative metaphor. Do you have a computer with Internet access and work e-mails to send? Subject to the whims of Wikipedia's 'Random article' feature, you'll need to slip some unusual words or phrases into work e-mails. Go to Wikipedia and click on 'Random article'. Note and copy the full title of your fascinating factually-accurate  article. You must now subtly slip this full title somewhere into the next work e-mail you send. A game for an uneven number of players. Do you have pens and paper, and an odd number of players? In this game, you'll be drawing straws. On paper. With pens or pencils. Draw the longest or the shortest straw and you're out - the happy medium straw is what it's all about. Give everyone a piece of paper and a pen. Now, everyone - secretly draw a straw. You want your straw to be the medium-sized straw. Has everyone finished? Amazing. REVEAL YOUR STRAWS! The people who drew the LONGEST and the SHORTEST straw are both eliminated. Now, repeat until only one player remains - our winner! All the drawings of straws are yours - a glorious prize! Hide&Seek game design studio re-imagined public space as a place to play and spanned multiple platforms: console, smartphone, browser, TV and public places. The studio was founded on the belief that play is essential to our health, minds and relationships, and will play an increasing role in the civic culture of the 21st century. The company won founder & director Alex Fleetwood aBritish Council Performing Arts Entrepreneur of the Year Award, and development director Margaret Robertson was named one of the UK's top games designers by Develop Magazine.